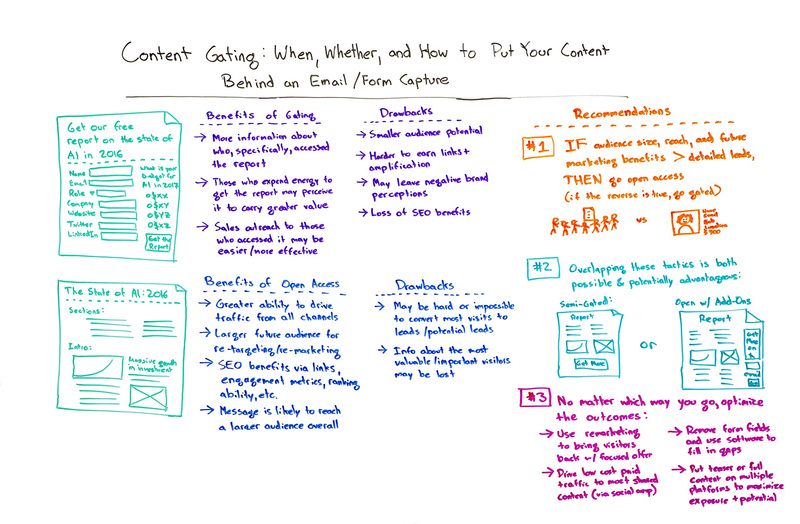 Have you ever considered gating your content to get leads? Whether you choose to have open-access content or gate it to gather information, there are benefits and drawbacks you should be aware of. In today's Whiteboard Friday, Rand weighs the pros and cons of each approach and shares some tips for improving your process, regardless of whichever route you go.